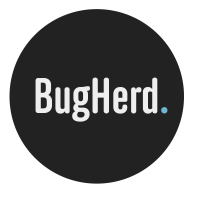 In order to have BugHerd appear on your website using the browser extensions, you need to tell BugHerd which hostname(s) your site uses. You can set hostnames for a BugHerd project by going to the 'Edit Project' item in the project 'cog' menu. You can then add hostnames to the 'Project Hostname(s)' field and click the 'update project' button. For some sites, you may only have one hostname, such as "www.company.com". Sometimes however a site spans multiple hostnames, such as when you are running a beta version of your site on "beta.company.com". In this instance you would specify both those domains. If you have any redirects you don't need to worry about those, only domains that are used to display content on. As a rule of thumb: when the sites share the majority of pages they should be listed in the same project. In developer's terms, when the different hostnames run on the same code repository. If you have a website with staging and/or testing versions we always recommend to add those hostnames to the same project. This is because the lifecycle of the bugs spans all of those websites. Specify your list of domains with a hostname on each line. Note that wildcards and subfolders are not supported. Please contact us on support@bugherd.com for any questions or assistance in setting up your project structure.